The summer is the time of the year where our spirits are naturally lifted. We feel happier, we want to enjoy the time outdoors and we want to spend it with our friends and family. Throwing a summer party is a great way to do just this. But without the right planning and preparation, you can end up spending a small fortune on something that was supposed to be a quick and simple event that didn’t impact much on your pocket. Every summer party around the world will be different, but the information here should help you to save whether you’re having a party for five in Florida or 80 in England. but most people overdo it. 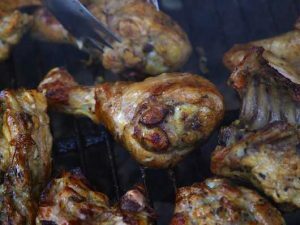 Steak, chicken, pork, lamb, salmon, burgers and sausages are all staple items on the average barbecue – and they’re just the meats! Instead of offering a huge amount of meat items, pick just two or three, as not only will you be able to save money by buying in bulk, but most people won’t even notice. As long as there’s some food on offer, people will be happy. 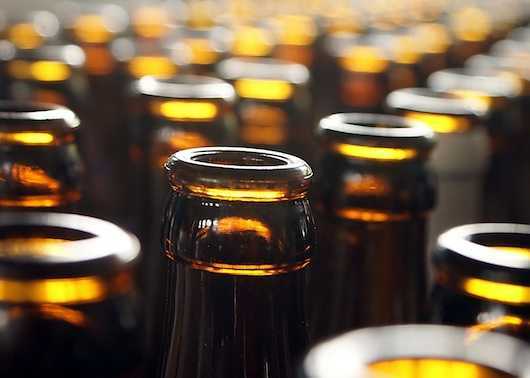 Taking many back to their younger years, a BYOB party is exactly as the name suggests – people bring their own beer (or beverages in general). These are proving to be more and more popular with people of all ages. And the simple fact is, they make sense. You’ve got 20 people coming to your party. Everyone has a couple of beers, a glass or two of wine and then a few shorts to end the night with. It might not sound like too much per person, but as a group, it’s the equivalent to a few cases of beers, several bottles of wine and two or three bottles of spirits – or in financial terms, a few hundred dollars. Instead of – or even in addition to – asking people to bring their own alcohol, why not consider asking them to bring a dish? You might decide to provide all of the meat dishes, but if you had someone bring a salad, someone else a pasta dish and someone else potatoes, it will cost each person nothing more than a couple of dollars, but it will help your pocket considerably. A staple at any party when it comes to food, bowls of nuts, potato chips and various other savoury snacks are offered right throughout the night. 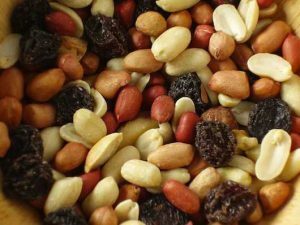 Whilst a few large packets of chips or a big bag of nuts might only cost a few dollars each, when you multiply it numerous times to accommodate for what could be several dozen people for several hours, the costs soon mount up. Either cut them out completely or don’t top them up constantly – both ways will save you a surprising amount of money. 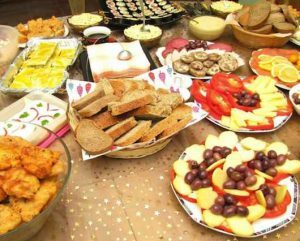 It may take away some of the spontaneity of the party, but asking people what they want to eat in advance could prove to be a great way to save money. 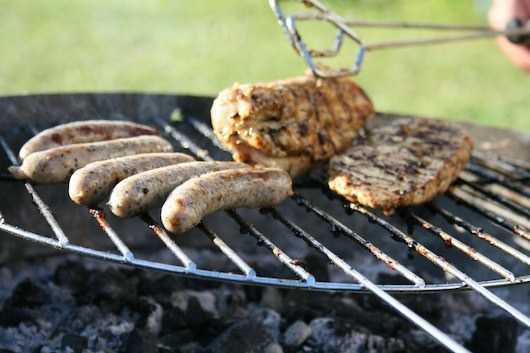 For example, without speaking to people, you might decide to cook chicken breasts, turkey fillets, steak burgers and pork sausages – but what if it turns out that the pork sausages weren’t liked and they were all left? You don’t have to make it a formal process, but when you’re inviting people, just ask them if there are any meats – or foods in general – that they don’t like. 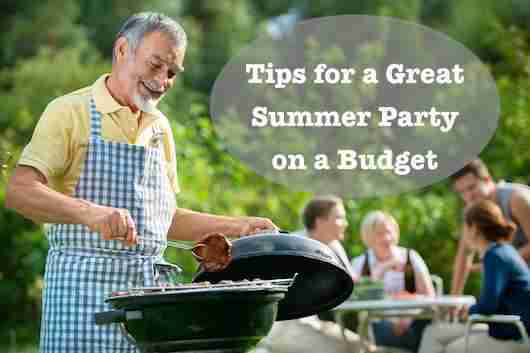 If you find out that the majority of those attending don’t like a few different things, you can omit the foods from your summer party and save money. With a summer party, you might feel like you want to provide everything, but what you need to remember is people will want to attend to see you. They’ll be looking to enjoy the atmosphere with their friends and family, not for the food or alcohol and as long as there’s some available – no matter who brings it – everyone will have a fantastic time. Have you thrown a party recently? Share your money saving tips below!